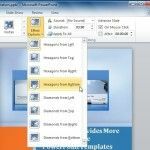 Learn how to apply effects & animations to your presentations. 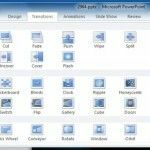 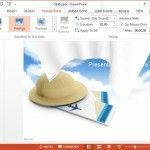 Find some of the most popular tools to make animated presentations and use pre-designed templates for Prezi, PowerPoint and Emaze. 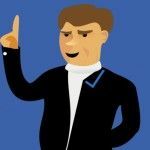 Sometimes being as surprised as the audience regarding what to expect next might not be a bad thing. 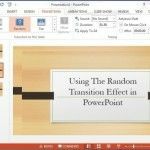 By applying the Random Transition Effect in PowerPoint you can do just that. 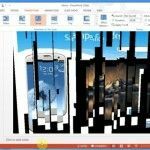 The Vortex Effect is among the most stylish transitions available in PowerPoint. 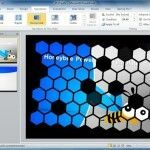 Unlike the Honeycomb or Flash Transition Effect, the Vortex Effect is more generic in nature and can be suitably applied to a more diverse range of presentation topics. 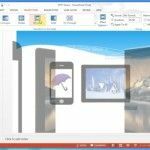 Sometimes the best way to start your presentation is with a ‘Ripple’. 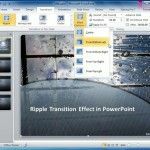 Among the various PowerPoint Transition Effects, the ripple effect can be used quite freely across slides; to add a water like ripple transition to your presentation slides. 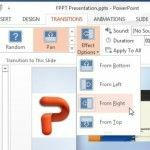 Below are some tips for using the Ripple Transition Effect effectively in PowerPoint presentations.